As the February 1 deadline to comply with India’s new e-commerce regulations draws nearer, online marketplaces Flipkart and Amazon India have assured sellers that it will be business as usual barring a minor blip. Some sellers told TechCircle that the e-commerce giants have warned them about a 10-15 day ‘blackout’ of some of the entities which buy inventory from these sellers in bulk and subsequently sell these items to customers on the marketplace at big discounts. While Walmart-owned Flipkart has told sellers that the downtime will be to streamline technical issues, Amazon India maintained there would be a minor 'disruption' to its sellers. Policy experts told TechCircle that this was an exercise to 'buy time' till the Department of Industrial Policy and Promotion (DIPP) extends the deadline for compliance. The new rules for foreign direct investment in e-commerce, which were announced in the last week of December, ban companies from selling products via firms in which they have an equity interest and also bar them from making deals with sellers to sell exclusively on their platforms. 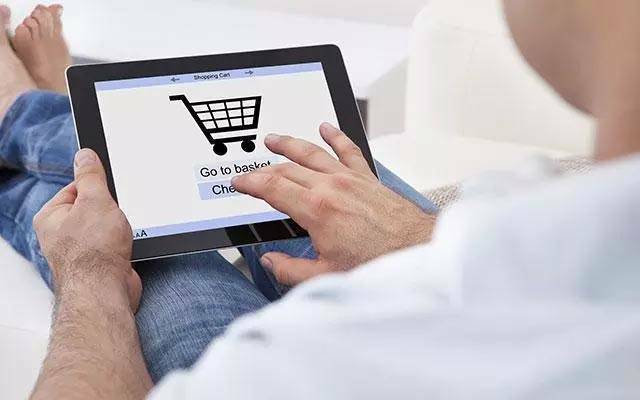 A research report by CRISIL anticipated that compliance with the FDI norms may cost the e-commerce industry Rs 35,000-40,000 crore in revenues for the financial year 2019-20. Earlier, US government officials had conveyed to their Indian counterparts that the interests of companies like Walmart, which holds a 77% stake in Flipkart, need to be protected. Flipkart and Amazon have both been seeking an extension of the February 1 deadline on the grounds that they need to fully understand the implications of the new guidelines. The policy had raised the prospect of foreign-owned Flipkart and Amazon being forced to change their business structures in the country. It is owned by Prione Business Services, which is a 51:49 joint venture between Infosys co-founder NR Narayana Murthy’s personal investment arm Catamaran Ventures and Amazon Asia. A distributor of multiple brands who sells to Cloudtail said he has been receiving purchase orders for the coming six months and has been assured that there are no legal concerns. “They (marketplaces) anticipated this (the new policy) would happen and in 2017 they separated their subsidiaries to ensure there is no FDI component coming into it. This includes Cloudtail India which is a purely Indian company, as well as Omnitech Retail on Flipkart and others,” said the distributor cited above. While Flipkart did not respond to specific queries, Amazon India declined to comment. Small traders and shopkeepers have long complained that e-commerce companies were engaging in predatory pricing and hurting the businesses of brick-and-mortar retailers. They alleged that the online retailers used their control over inventory from their affiliates to create an unfair marketplace that allowed them to sell some products at lower prices. “There was an opportunity for brands to register for a single-brand retail license previously to clear up the structure of companies,” said Pankaj Vermani, chief executive of lingerie retailer Clovia, which last week raised $10 million in a Series B round. “As a brand which manufactures in India, the current guidelines do not impact us though it provides an opportunity for a level playing field for smaller retailers." However, smaller players such as online beauty retailer Purplle are believed to have sent out e-mails to sellers stating that they will be unable to buy inventory from them as well as distributors. A report by The Economic Times stated that smaller online marketplaces like LimeRoad and Wooplr have also written to DIPP seeking clarification. But homegrown platforms like ShopClues and Snapdeal reportedly wrote to the DIPP asking them not to extend the deadline. “An immediate and thorough implementation of Press Note 2 is important to ensure growth and survival of India’s small businesses through genuine online marketplaces,” Snapdeal CEO Kunal Bahl was quoted as saying by The Economic Times.